Doctor of Pharmacy Ambassadors | Your sources for information related to becoming and being a student in the Doctor of Pharmacy Program! Your sources for information related to becoming and being a student in the Doctor of Pharmacy Program! Hi everyone! My name is Jamie and I’m a p2 student. I wanted to take a moment this week to highlight one of our newest student organizations SASP. SASP was started by a group of current P2’s student who work in the Specialty Pharmacy at the Wexner Medical Center across the street. This Organization aims to promote student engagement in specialty pharmacy through education, professional development and networking with current members of NASP. I decided to join SASP because specialty pharmacy is an area completely new to me. I had never worked or shadowed in this area before joining the organization. After attending a few meetings and hearing specialty pharamcists talk about their experiences, I decided that specialty pharmacy is interesting, and I wanted to learn more. By Joining SASP, I can network and shadow in specialty to continue to learn about this type of pharmacy to get a good feel for if I want to pursue working in this area in the future. I hope everyone is doing well. During the interview day panels, one topic that was frequently brought up was research opportunities. There are many ways to find a research project that is suitable for you. The career services at the college is a great resource, especially as a starting point. Internships are also a great resource. Currently, I am an intern at Nationwide Children’s Outpatient Pharmacy. Through my internship, multiple research projects are offered with pharmacists in various clinics throughout the hospital. The research projects usually start at the beginning of summer, so that students have sufficient time to complete projects. However, if the research project isn’t completed during the summer, the timeline can be extended. Along with a fellow P3, I’m currently working on a Quality Improvement Project focused on increasing pneumococcal vaccination rates in Cystic Fibrosis patients seen at Nationwide Children. Although I had no research experience, I felt comfortable with the level of difficulty of the project—including designing a workflow map, a key driver, an algorithm, data collection, etc. It is important that you constantly communicate/ meet with your preceptor to help guide you throughout the different parts of the project. A lot of the faculty members within the college have projects available as well—another great resource. If there is a project you are interested in working on with a faculty member, there are receptive to opening that opportunity to students—send them an e-mail expressing interest in-order to open that line of communication. Hello everyone! My name is Rebekah Thomas, and I am finishing up my second year at the College of Pharmacy. With this post, I would like to share one of my favorite volunteer locations: Helping Hands. Helping Hands is housed in an old preschool, with a clinic open to the public every Thursday. It is organized and run by a group of outstanding individuals who recruit volunteers from various disciplines to help with their mission. The healthcare team includes physicians, pharmacists, and nurses that work collaboratively to run stations dedicated to specific tasks like blood sugar, blood pressure, and other forms of screenings. For this post, I am going to focus on what a pharmacy student would do at Helping Hands. Upon arrival, you’ll probably notice that the rooms are color-coded, as the building was previously a preschool. The pharmacy is stationed with nursing in the Yellow room. You will first meet up and go over introductions with the other students and pharmacists on staff. Once everyone is comfortable with their responsibilities, you can begin your day. The patients are first triaged by nursing, so initial evaluations are conducted by nursing students. Once that is complete, pharmacy students are called back to confirm patient allergies and review any medication lists. We use the clinic software to add, delete, or change any medications. When talking to patients, we asses if the patient is taking their medications correctly and take note of any potential barriers. For example, if the patient is having trouble remembering to take their medications, it is our job to give them tips and suggestions to hopefully better remember. If a patient reports they have stopped taking a particular medication, our responsibility is to figure out and address any potential barriers. We can take notes for the doctor to see so that we can work together to provide the best patient care. But wait, our patient interaction does not stop there! Once the patient has moved from the nursing and pharmacy station, they will now see the doctor. In most cases, the pharmacy student that reviewed the medication list will follow that patient through the process. We have the opportunity to sit-in while the doctor performs an examination. This is my favorite part! Many of the providers will ask you questions about medications when adjusting the patient’s regimen. Some of the questions require the use of drug information resources, so it is a great learning experience. Once the provider has decided what medications they want to start the patient on, they will print off the scripts and send the patient back to the pharmacy. The pharmacy has a small formulary, so we can fill some of the medications in house to get the patient started. If we don’t have a medication in stock, the patient can take the prescriptions to their local pharmacy to fill. Any cost-related issues are also addressed at this time. Pharmacy students will count and label the prescriptions we do fill, but they are ultimately checked by the pharmacist and the physician. Because Helping Hands is a clinic, the prescriptions are signed off and checked by the physician instead of the pharmacist, but the pharmacist works closely with us to make sure all of our questions are answered. Once the medications are ready to be handed off to the patient, a pharmacy student will counsel the patient on not only proper administration but will explain to the patient what each medication is for. The hands-on nature of this clinic is why this is one of my favorite volunteering sites. It is such a great experience to see how other disciplines operate when providing patient care. Thanks for reading, and I really hope you enjoyed this blog post! Last Friday, March 15th was ASHP Match Day. For those of you not familiar with Match Day, it’s the day when P4 students find out if they’ve been matched with a residency and if so, where they’ll be spending the next and arguably most important year of their careers. Needless to say, the day is quite exciting and emotions run very high throughout the process. While I have not gone through the Match process, as I am only a P2 student currently, I thought this would be an opportune time to talk about how Ohio State prepares you for a residency so that our students have the best chance of getting placed at their preferred sites. Residency application is a very competitive process, with only 64% of applicants nation-wide getting placed into a program this year. At Ohio State, we are working on skills from day 1 that will prepare you to be a competitive candidate for residencies. During the transitions course at the beginning of your P1 year, you start building important professional skills such as how to properly create a CV, how to handle professional correspondences, and how to prepare for interviews. These skills are incredibly useful in any hiring process, but especially so in the residency process. Our Career Services staff work extensively with us throughout the entire PharmD program to hone these skills and make sure that when we get to that residency interview, we are ready to blow them away. I can personally say that when I started pharmacy school, I had an outdated and frankly awful resume. But working with Natalie Fox (one of our amazing Career Services specialists), I was able to not only get it ready for applying to internships during school, but set it up to build on during the rest of my time in school. Career Services also sends out a weekly email with internships hiring in the area. Since experience outside of the classroom is one of the best ways to set you apart, this is a great resource as well! Beyond this, our experiential education staff works tirelessly to match us with great rotations during all four years of pharmacy school. These rotations not only help give you the skills to be ready for a residency, but they help you decide if a residency is even for you. My closing comment is that while there is a ton of hype around residency, and our program does a phenomenal job preparing you for it, residency is not for everyone and while growing, is still done by a minority of students. And a lot of our great programs that help prepare out students for residency prepare our students to be great job candidates as well. So whichever path you decide to go down, rest assured Ohio State will prepare you for it. For us at the College, Spring Break has just begun, so I thought it would be appropriate to touch on some of the ways students spend their Spring Breaks! Buck-I-Serv: Ohio State offers service trips through Buck-I-Serv each break. These trips focus on a range of things like children, education and poverty, to housing to disaster relief and more; and they take place in a range of places from Florida to Illinois to New York and even some that are out of the country. Additionally, you are able to apply to be a trip leader which is a fantastic leadership development opportunity. I personally have gone on a Habitat for Humanity trip to North Carolina and had an amazing time—I made new friends, was able to give back in a meaningful way and had a lot of fun in the process. healthcare team on a positive patient outcome through outreach and education in underserved communities abroad, where they identify and treat the medical needs of their populations. Students that go always report having a great time, making friends and developing clinical skills. Rotations: Some students utilize their free week to complete IPPE rotations, do project work or even shadow! This can be a great time for future professional development. 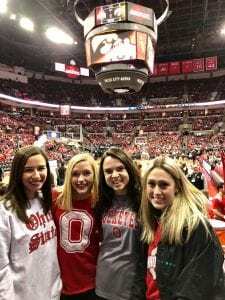 Vacationing with classmates: Many students opt for a more traditional vacation on Spring Break—relaxing on a beach, hiking in Arizona, ski trips and more! This is a great time to take a break from classes, relax your mind and body and spend quality time with family and friends. Work/Stay–cation: Finally, many students will choose to stay home for spring break and unwind with a stay-cation of sorts—maybe even pick up a few shifts at work over the break. I hope this gives you a little insight into what Spring Break at the College looks like. In whatever way you choose to spend your break, make sure to enjoy yourself and relax! APPE’s – Just Around the Corner! This is such an exciting part of the semester for our P3 class – our fourth year APPE schedules were just released to us! It is a surreal feeling that we are finishing up on our didactic curriculum for our PharmD career. APPE’s are a great way for students to tailor their fourth year, giving them an opportunity to have rotations in areas that they have an interest in. It is also a great way for them to branch out and become immersed in things that you they are not familiar with. There are so many specialties and paths to pursue after graduation, so these rotations (and their amazing preceptors) are great resources to help us decide what we want to do! I know that my interests have greatly changed since beginning pharmacy school! I am really looking forward to my rotations, most notably my longitudinal academic rotation within the College of Pharmacy! I will be helping to develop integrated patient cases for the P2 students to work on during their workshops. I have an interest in teaching, and I am excited to gain experience in this setting! I am also looking forward to my pediatric ambulatory care rotation at Nationwide Children’s Hospital and my rotation in the SICU at The Ohio State University Wexner Medical Center! I found our critical care module to be very interesting and I am excited to apply the information we learned in class to patients in the hospital! The profession of pharmacy is changing constantly, and pharmacists are playing more of an integral role in healthcare than ever before. Whether it’s nuclear pharmacy, managed care, hospital health systems, community/independent pharmacy, ambulatory care, academia, industry, etc., where do you see yourself practicing? Coming in as P1, it may seem a bit overwhelming to find which organization (s) to join. This week’s post will highlight another student organization: Student National Pharmacists Association (SNPhA). SNPhA is the student affiliate of the National Pharmaceutical Association (NPhA), a pharmacy association that is dedicated to representing the views and ideas of minority pharmacists on critical issues affecting healthcare and pharmacy; as well as advancing the standards of pharmaceutical care among all practitioners. SNPhA is an educational service association of pharmacy students who are concerned about pharmacy, health care related issues, and the poor minority representation in pharmacy. The purpose of SNPhA is to plan, organize, coordinate, and execute programs geared toward the improvement of the health, educational, and social environment of the community. SNPhA provides a unique opportunity for future pharmacists to make a lasting impact in the community. 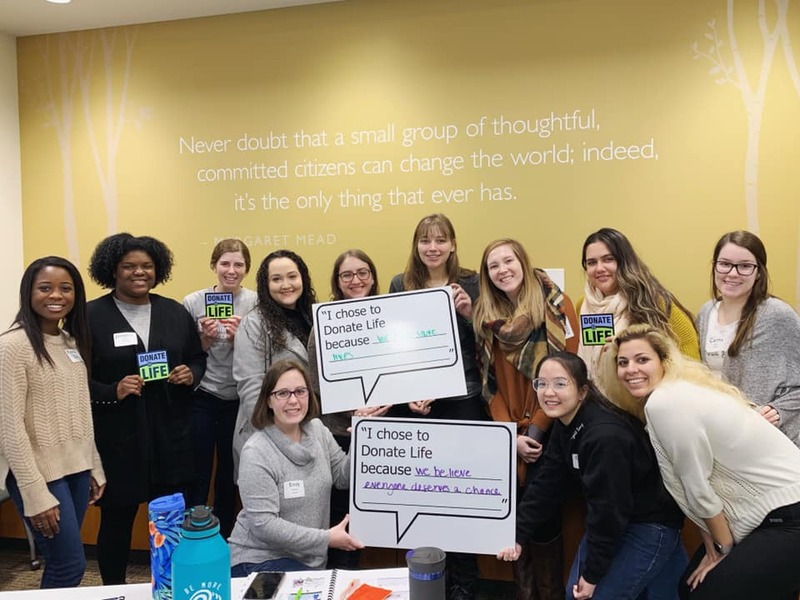 With 8 relevant health initiatives and a team of dedicated student pharmacists who all share a passion to serve and educate underrepresented communities, SNPhA continuously impacts the lives of over 100,000 patients on a national level each year. Becoming a part of the SNPhA family provides students with ample opportunities for networking, scholarships and collaboration with student pharmacists from all over the nation who share the same drive to make a difference in the lives of those who may not have adequate healthcare access otherwise. Membership includes biweekly general body meetings with some of the most dedicated and enthusiastic healthcare providers, discounted rates to regional and national meetings, leadership development, opportunities for scholarships and many more. Not only will you grow within this organization and find your passion to serve, but you will also find that in SNPhA, we are family. Hello Everyone! My name is Rebekah Thomas, and I am a current P2 at the College of Pharmacy. I completed a rotation in the Emergency Department in the beginning of January, and I would like to share my experience with you. My background in pharmacy is primarily community, with a small amount of hospital in the mix. This was my first intensive experience in a hospital, and it was both different and exciting. This was a 40 hours intensive rotation held over a period of 4 days. I shared this experience with one of my fellow classmates. We were paired up with a PGY2 emergency medicine resident to show us what life was like in the ED. Our first day started with a tour of the emergency department. My preceptor showed us the divisions of the emergency room, trauma bays, MRIs/CT scanners, and pharmacy workplace. She showed us how the staff communicates via electronic workflow boards, and how they are assigned to different sections of the ED. My classmate and I met with other pharmacists, and then we began to dive into the day to day activities of an emergency department pharmacist. Our mornings consisted of patient work ups and medication reconciliations. We sorted through patient profiles with our preceptor to identify the most pertinent information. We would first look at the reason for the patient’s visit and then look through physical exam findings, lab results, past and current conditions, and at home medications to better understand the patient’s medical status. If the patient’s at home medication list was not up to date, I would talk with the patient, update their medication list, and verify the information with their community pharmacy. Next, we would look at the medications given at the hospital and determine if they are appropriate based on the patient’s diagnosis and lab values. This allowed me to apply what I had learned in both class and lab in a real practice setting. Throughout the rotation, our preceptor would also ask us drug information questions that required us to look through drug information resources and hospital treatment algorithms. Our goal was to assess if the prescribed therapy was appropriate or not for the diagnosis. This was a very important part of the rotation because it gave me a hands-on experience in answering drug information questions. It ultimately helped me better learn where to look for certain information in the resources I was provided. During this rotation, I attended a trauma in which the patient was brought in by life flight. I watched how doctors, nurses, medics, technicians, and pharmacists work together to quickly asses and care for patients in critical conditions. This was amazing to witness because I was able to see how vital collaboration is to patient care. I also spent some time with a member of the respiratory therapy (RT) team. While working with the pharmacist, I saw a broad selection of medications dispensed to patients with very different conditions. I really enjoyed spending time with RT because I learned about specific medications involved in their work such as breathing treatment medications and the use of ventilators. This was one of my favorite experiences so far in school, and I am excited for other opportunities yet to come! I will be sharing those with you as well, so stay tuned! Have a great rest of your day! The Spring semester is now in full swing and it’s hard to believe we’re a whole month into school already. This semester, while classes are surely keeping me busy, it’s all the extra things outside of the classroom that are really keeping my schedule jam packed. 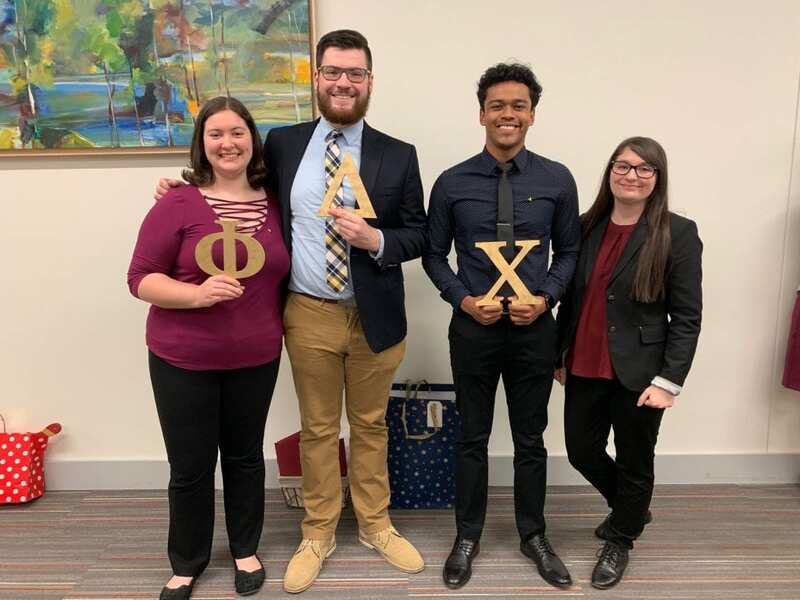 This week, I would like to give you a look into my personal favorite student organization, Phi Delta Chi, and talk about greek life in Pharmacy School as a whole. Whether you were/are in a Greek organization or undergrad, Greek Life in pharmacy school can be a great way to make friends and form lifelong professional connections too. What is Greek Life in pharmacy school like? Greek Life is very different in pharmacy school than in undergrad. For starters, we don’t have social fraternities or sororities and all of our organizations, at least at OSU, are coed. At OSU we have four greek organizations – Phi Delta Chi, Kappa Psi, Phi Lambda Sigma, and Rho Chi. Phi Delta Chi and Kappa Psi are both professional pharmacy fraternities. Despite the name “fraternity” anyone can join either of these organizations after a candidacy process. To find out more about Kappa Psi check out the blog post all about it here. Being professional fraternities, both of these organizations balance professional events and social functions. For example you won’t find the stereotypical fraternity party hosted by Phi Delta Chi, but instead might find a networking event with a more social event afterwards. Phi Lambda Sigma and Rho Chi are both greek honor societies. Focused on leadership and scholarship respectively, these two organizations are invitation only. Phi Delta Chi (PDC) is the oldest professional pharmacy fraternity in the country. We first came to OSU in 1908 but were inactive for a few years and just came back in 2016. Being one of the newer student organizations in the college means we’re still on the smaller side but growing quickly. I am currently serving as the Worthy Chief Counselor (our formal term for president) of the Xi Chapter and couldn’t be more excited about what our chapter is doing and what we have planned. I love PDC because of all the amazing experiences I’ve been able to have through it. One of our core values is building purpose-driven leaders. This past summer, me and three other OSU Pharmacy students joined hundreds of brothers from all over the country in Virginia Beach for our biannual Leadership Development Seminar (LDS). At LDS, not only did we learn a lot about how to be better leaders from brothers that are strong leaders in the field of pharmacy, including the past National President of APhA, but we got to meet and network with Brothers from all across the country. Even now, almost a year later, I still keep in regular contact with friends I met there that are in school in California, Texas, Tennessee, Michigan, and beyond. The network of brothers is amazing to have. I know that if I ever need a place to crash for a residency interview or tips about an area, I have Brothers I can count on. At OSU, the Xi Chapter of PDC does all sorts of activities throughout the year. From bake sales to raise money for St. Jude to rock climbing trips to student panels to our annual Chapter Retreat in Hocking Hills, we’re always getting closer as a chapter. Our motto in PDC is “Brothers for Life” and I really do feel that the connections I’m making with brothers both at OSU and other chapters are connections that will last for life. I hope this gives you an idea of what Greek Life in pharmacy school and more specifically Phi Delta Chi is like. As always if you have any questions just drop a comment below! The heart of winter is upon us, and if you are anything like me, you may find yourself lacking the motivation to get out and explore Columbus when it is so cold out. However, the winter months don’t have to mean sitting at home watching Netflix—Columbus still has plenty of fun things to do! I have compiled a short list of activities to inspire you this winter! Visit The Book Loft. Located in German Village, this cozy book store has 32 different rooms of books at bargain prices. Pick up a new book (or five) with a few friends, grab a coffee or hot chocolate and enjoy a relaxing weekend morning! Speaking of coffee, the Columbus Coffee Trail is a great option to get out and explore! Columbus has one of the best coffee scenes in the Midwest and the Coffee Trail offers tons of great ideas for new places to try. Find it here http://www.cbuscoffee.com. During December, there are all sorts of fun lights and holiday festivals. Wildlights takes place at the Columbus Zoo, Franklin Park Conservatory is decked out in seasonal foliage and twinkling lights, and the Short North and German Village are decorated for the Holidays and often have holiday treats and specials. Attend a Blue Jackets game. The Columbus Blue Jackets are our professional hockey team in town, and attending games is always a great time (even if you aren’t a hockey fanatic)! Located in the Arena District there are also fun restaurants to check out before and after the game. While better known for our football team, Ohio State Men’s Basketball team is also premiere and attending games is a great way to spend an evening (or afternoon). The Nut House is the student section for basketball and does a great job of getting students excited for the game. You can also get discounted student tickets and great seats with friends! If sports aren’t your thing, check out a show in the Theater District—The Palace, The Southern, The Lincoln and The Ohio offer everything from ballet to plays to music and theater performances. If that’s not enough, the Wexner Center for the Arts also puts on frequent shows to enjoy. Get creative at the Candle Lab, Clay Cafe or Studio 614. There are plenty of paint classes, make your own candle studios and many more creative endeavors all around Columbus. I hope this has given you some inspiration this winter! Get out an enjoy Columbus and all it has to offer with friends.